Tap this page for Survey of Pakistan Jobs 2019 Application Form Download cts.org.pk. For all the applicants who are unemployed and are looking for Govt jobs so pay your attention here because Surveyor General Office Rawalpindi, Govt of Pakistan intends to appoint the minimum educated, expert and hard-working applicants for the following posts. 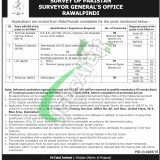 Jobs in Surveyor General's Office Rawalpindi are named as (Technical Assistant, Telephone Operator, LDC, Technician) are the current vacancies which need to be filled by the applicants as soon as possible. These posts are of BPS-14 to BPS-07 Scales. The quota is reserved for Women, Minorities and a regional quota is also reserved for KPK, Balochistan, AJK, Punjab, GB/FATA and Sindh. So, these are the details and now, let's tap to have its further details below. Surveyor General Office is the Government entity which is working under the Ministry of Defence, Govt of Pakistan and is the national working department of mapping organization of the country. It is primarily responsible for all sorts of topographical land surveys of cis-frontier areas of the entire country. Being a Govt body it offers Govt jobs of different levels. Applicants possessing qualification from Bachelors / Intermediate / Matric and relevant skills and experience are eligible to apply and age of applicants should be between 18 to 30 years. Applicants should apply by downloading the form along with a deposit slip from the CTS Site www.cts.org.pk or from www.jobsalert.pk. Duly filled application form along with a paid deposit slip as test fee and a copy of CNIC and two recent passport size photographs to the CTS Office Islamabad. The test can fee shall be paid in any branch of MCB on the prescribed bank Challan. The last date for submission of application is March 18, 2019. Roll Number Slip shall be separately dispatched directly to the candidate by CTS at least one week before the test. Address: CTS, Office No. 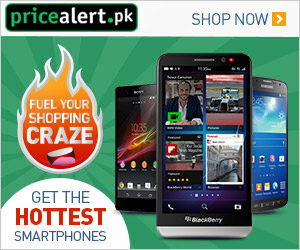 06, 2nd Floor, 96-E United Plaza, Blue Area, Islamabad.